In his blog, 2019: The Most Human Year Because It Must Be Mark W. Schaefer refers to his new book Marketing Rebellion: The Most Human Company Wins. And I believe that, too. Marketing is finally human again. “The sales funnel is gone.” Hear, hear. Three years ago I quit working as a copywriter and contentmarketing specialist. I hated the tricks and the funnels and the automations: those schemes had nothing to do with the online marketing strategies and tactics I believed in. To me, marketing is nothing more than the efforts you take to establish a true, long-term connection with real people, by consistently sharing your message online. To many people ‘marketing’ became a dirty word, like ‘sales’. So I walked away from my business, tired and disappointed. But l still loved the internet. It empowers people, all over the world, to make a difference. Through the web you can become a life-saver, or a millionaire, or both. That’s brilliant. That’s revolutionary. I missed playing my part on that stage. I missed my clients too. They are gifted entrepreneurs who need a little help to become more visible online. I saw them struggling, trying to copy ‘proven strategies’ that were obviously not working for them. Quibble is about content marketing again. About creating valuable long-term relationships with real, like-minded people. I call it minimal marketing because entrepreneurs and small business owners don’t have the time (or the budget) to work on their marketing all day. I help them to implement a minimal marketing system that works for them. It saves time and money and it creates more online visibility. Less marketing, more impact. Make sure people know who you are and what you stand for. The world is in desperate need of more love, in any form. This is what I believe: if you have the talent and the ability to help someone in need, you have the moral obligation to get out there and introduce yourself to them. That has nothing to do with sales or marketing or whatever – that is just plain, common decency. 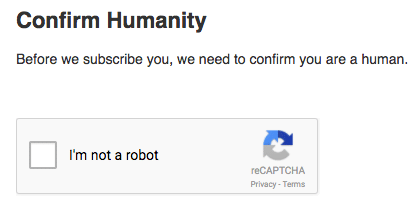 It’s human.